The purpose of this Cowes Harbour Commission Emergency Plan is to provide a contingency plan of action by all authorities in a harbour emergency or potential emergency. Each undertaking (private wharf organisation or marina) or authority will be responsible for issuing their own detailed instructions within the general provisions of this plan. Nothing in this plan shall relieve any person or organisation from any statutory obligation or responsibility. Similarly, nothing in this plan shall interfere with the site emergency plan established by wharf owners, marinas and boatyards. 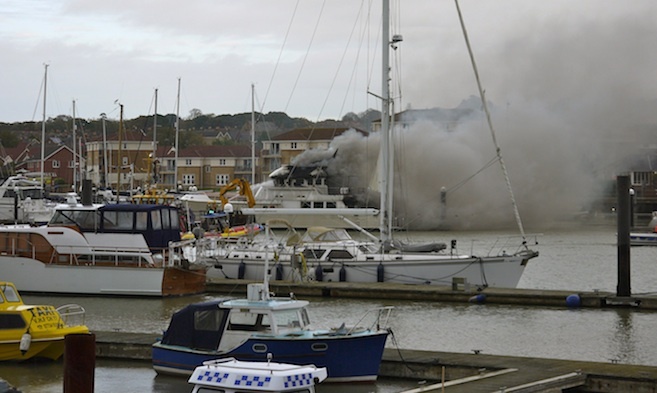 This plan, agreed by all appropriate existing authorities in Cowes Harbour, sets out the agreed action to be taken during any emergency or potential emergency in the harbour. A harbour emergency is any incident within the statutory harbour area where there is risk to vessel*, vessels or person(s) or where risk of pollution exists. Such definition also covers bomb threats and flood warnings. * The term vessels is to include all types of ship, boats, vessels or such craft used or capable of being used upon water. The Chain Ferry (Floating Bridge) is included within this broad definition.